New Year, New Fitness Goals! New year, new list of goals to make! 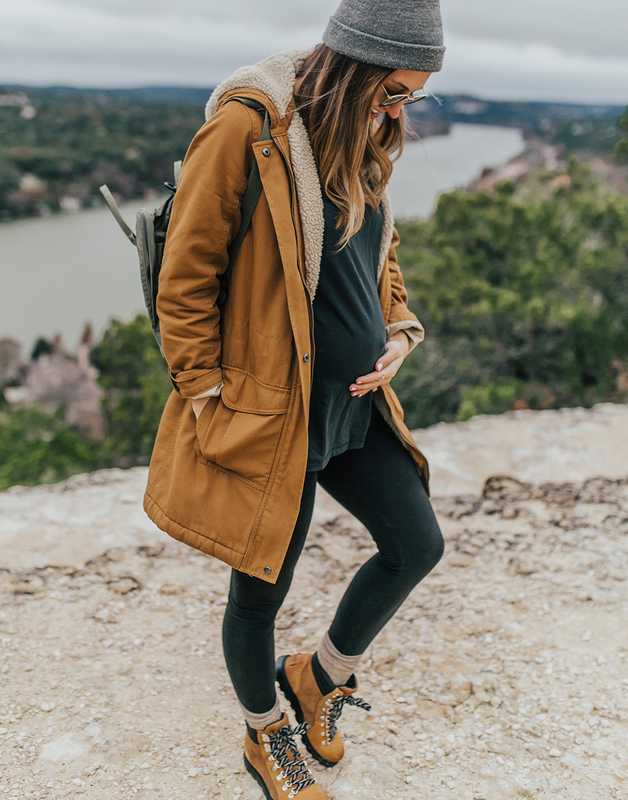 Fitness is generally at the top of everyone’s resolutions list, but given that I’m in the midst of giving myself some serious grace (35 weeks pregnant over here), let’s just say my goal is to simply remain active. 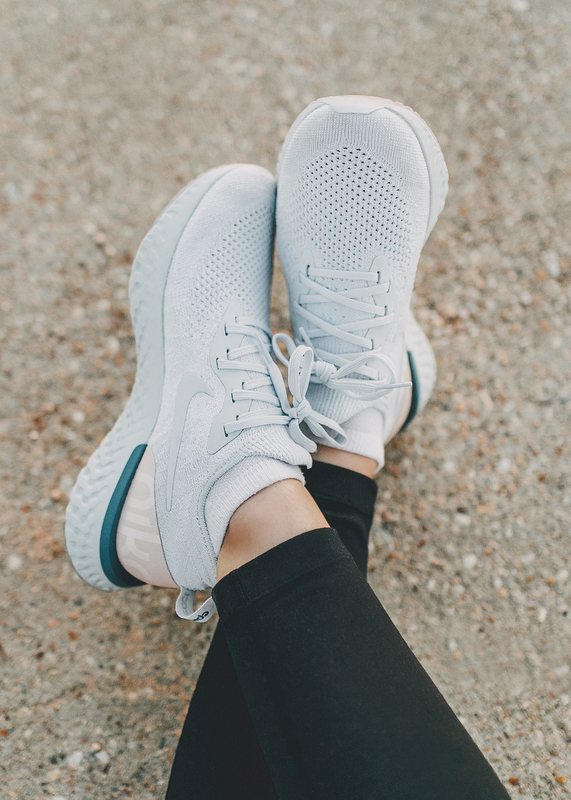 I currently take a daily walk – anywhere from two to five miles – to ease my discomfort, get my heart rate up and of course, gain some mental clarity. 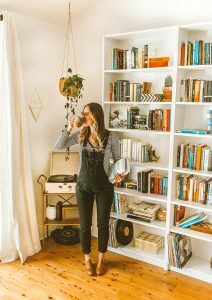 I have no idea what my new fitness routine will be in just five to 10 weeks time (…I mean, I have definitely been pinning “post pregnancy” inspiration to my fitness board on Pinterest, ha! I’m very much looking forward to that time! 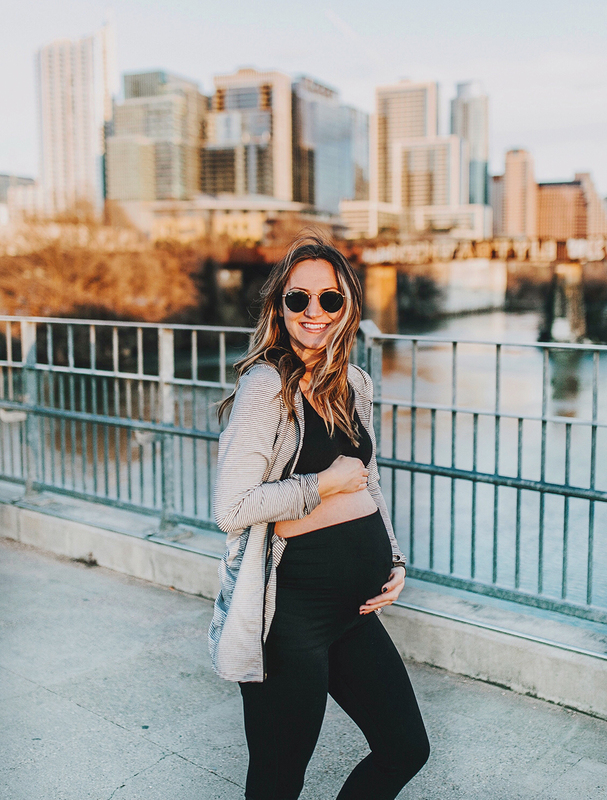 ), but I know I’ll be incorporating some sort of physical activity…strolls with Baby P, maybe start BBG, get back into the gym…lots of options! Also, we just ordered a treadmill, so I’m super excited about being able to workout in the house while our little guy naps! Anyone else been craving a hot bowl of soup lately? There’s nothing better when it’s cold and rainy out! I’ve had butternut squash soup on the brain lately, but I wanted to mix it up a bit. 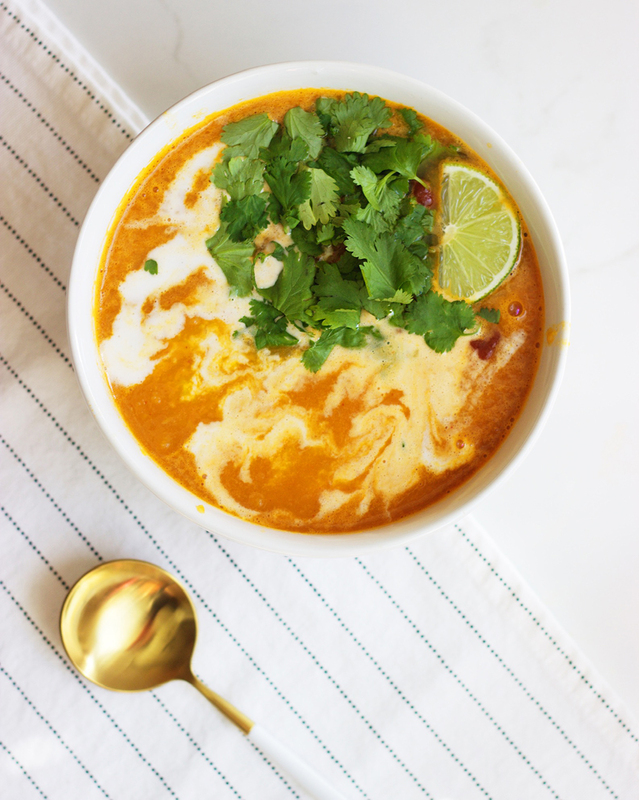 If you’ve been following my recipes here for awhile, you probably know that I’m a big fan of curry (check out this Curry Cauliflower Soup recipe and this Red Curry with Cauliflower Rice!) I always have a jar of red curry paste stashed away in my fridge, and I highly recommend you do too! Happy New Year, friends! Oh my goodness I can’t believe 2018 has come and gone – what a wonderful year it was! 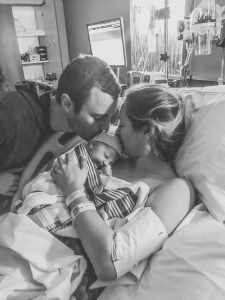 From travels, to new pups to baby news…I am so grateful for all this past year has brought into my life. A special thank you to all of my readers who take the time to visit my little corner of the internet, it truly means the world to me that you’re here and continue to support my passion week after week. 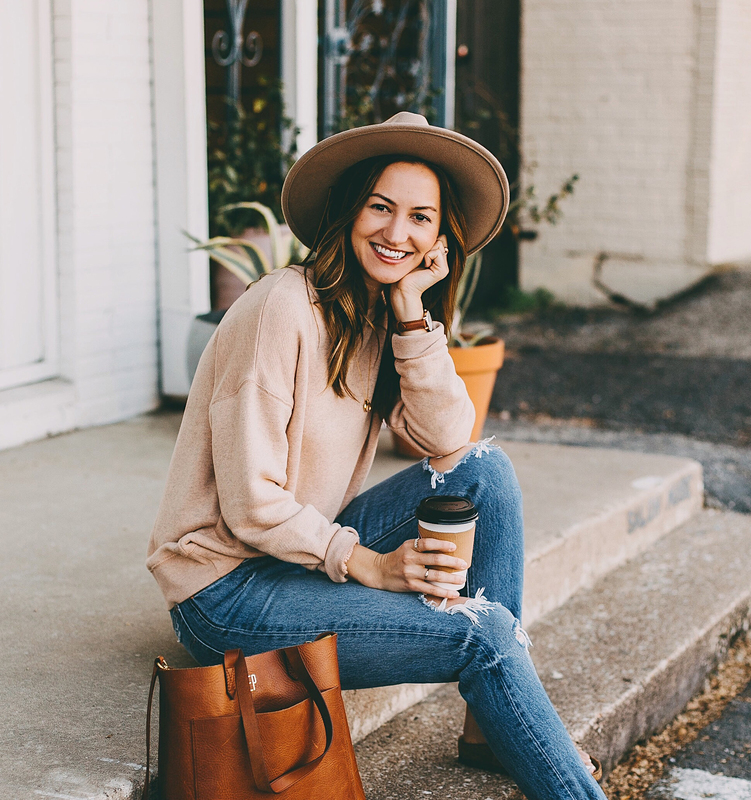 I look forward to producing more content for you guys in the new year…including posts on motherhood, which I am most excited about! We’re in the home stretch to Christmas, y’all! 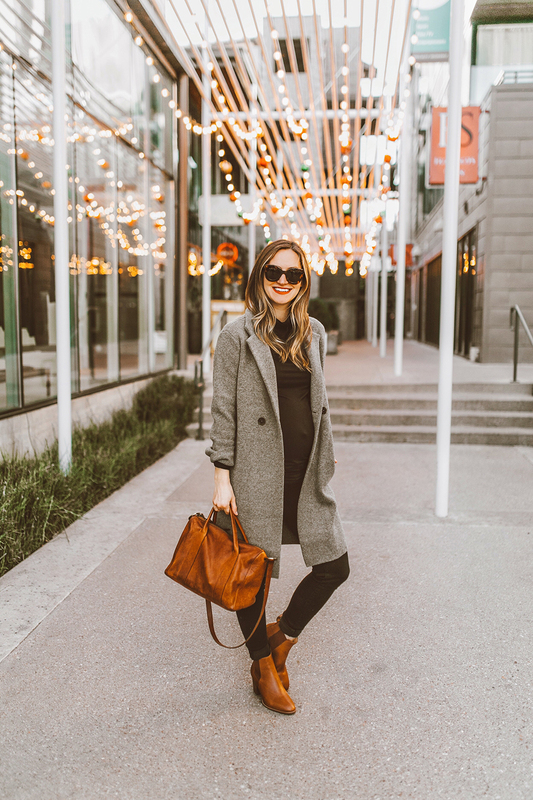 If you’re like me and still have a few folks on your list to shop for, there’s one store that always has you covered…you guessed it, Nordstrom! From next-day shipping, to their “buy online, pick up in store” option (…where they’ll even bring out your items to your car…! ), they are hands down the retailer that goes above and beyond for their customers. 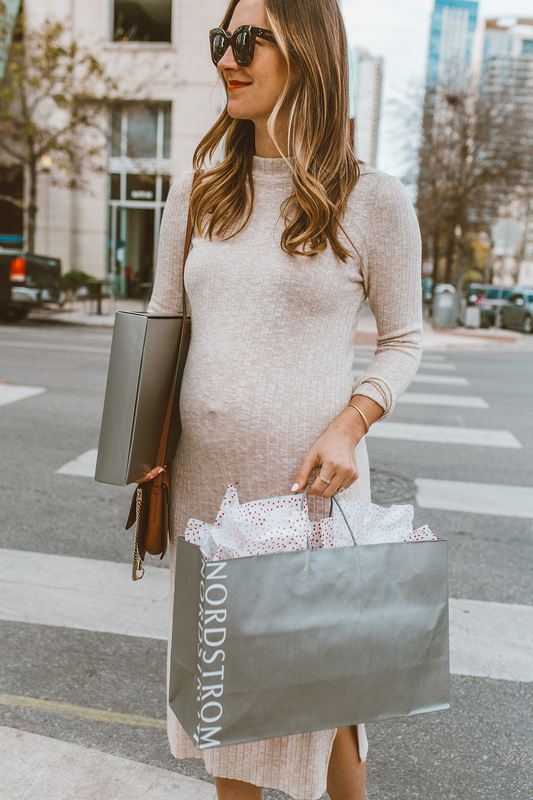 Not to mention they carry something for everyone: a pretty candle for your aunt, a cozy robe for your mom, a cool pair of Nike joggers for your brother and anything in between! At seven months pregnant, I’m doing my best to get in those daily steps! I am currently walking a 23 minute mile (…at my fastest, ha! ), so leisurely strolling has become my specialty these days. I take daily walks around my neighborhood, but that can get monotonous (…especially given my snail pace! ), so on weekends when Blake is free, we’ll go do something active but light enough for me to handle at this stage in my pregnancy. 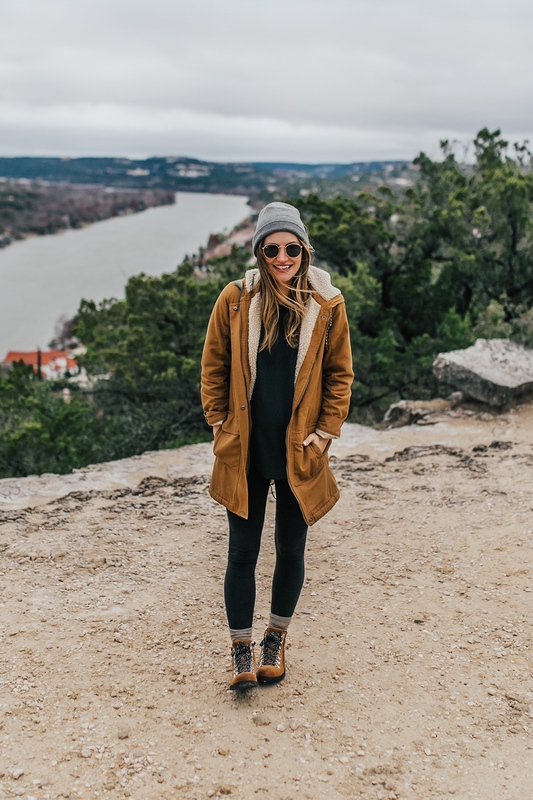 Last weekend it was SO cold out, but it was honestly the best day to hike up to Mount Bonnell because there were no tourists around, ha! We had the view to ourselves and had so much fun walking and talking about how different life will be in just two short months…this time next year Blake will be carrying our little guy in a backpack as we hike this same area! Still surreal (and so exciting!) for us to imagine. PS. Use code LIVVY15 to take 15% off your first purchase! Valid one-time use only. A big thank you to Backcountry for sponsoring this post! All opinions are my own. Hey friends! How’s your week going? Can you believe we are just over 10 days away from Christmas?! 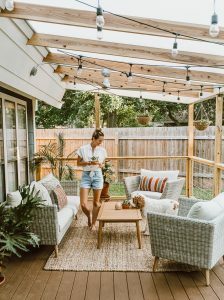 I don’t know about y’all, but I’ve still got half my list to shop for…ah! 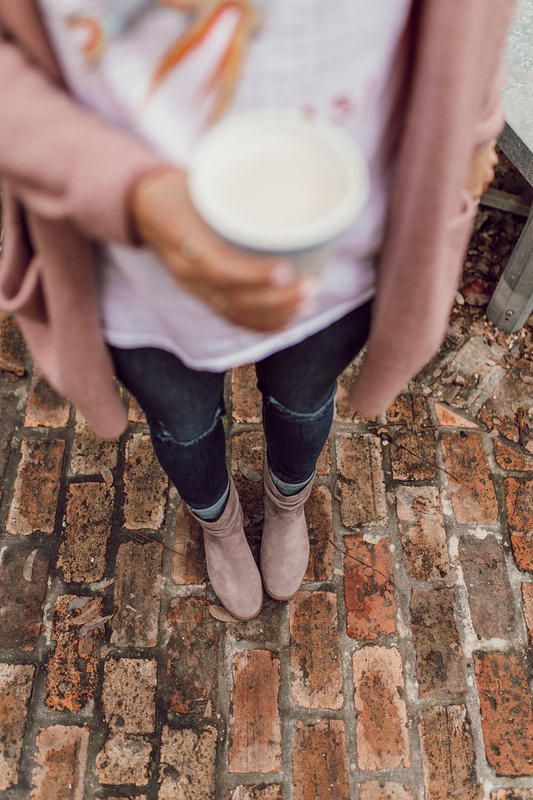 Thankfully, this time crunch can be solved by two things: coffee (first and foremost) and online shopping…! Over the weekend, Blake and I tried to brave the mall and man…it was a ZOO. We ended up leaving shortly after, feeling overwhelmed by crowds in every store. So, what to give the gals left on your list (or yourself… 😉 ) that will arrive on your doorstep in time? Shoes! A big thank you to Koolaburra by UGG for sponsoring this post! All opinions are my own. If you’re looking for matching PJ’s for you and your friends, husband (…apparently Blake’s not into matching pajamas for photos…THIS year! 😉 ), family or ya know, you just want to feel extra festive and adorable on your own (…hi, that’s me! 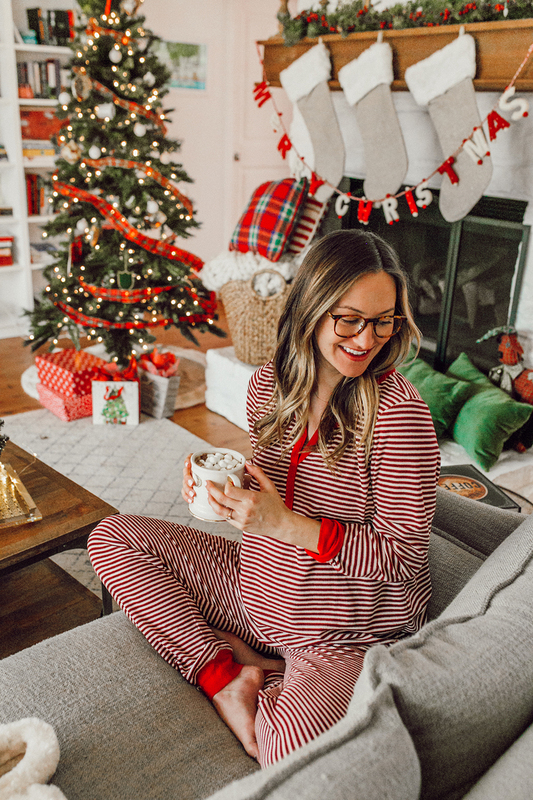 ), then look no further than Jockey for all of your holiday pajama needs! A big thank you to Jockey for sponsoring this post! All opinions are my own. I have been compensated by QVC for this post. All opinions are my own. Ohh to take a nap. Or rather, to simply get a good nights sleep these days. 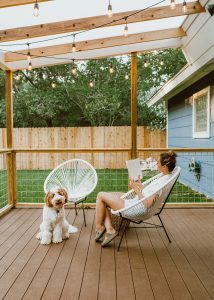 Between having to pee every three hours and two dogs waking me in the wee hours of the night…let’s just say sleep is something I could use a heck of a lot more of! 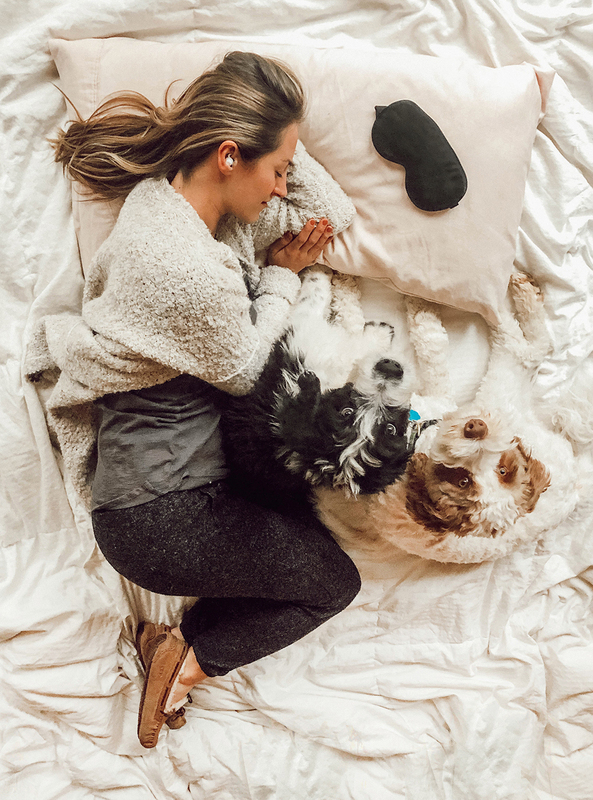 And while the whole “baby pushing on my bladder” thing can’t really be helped at this point, wearing noise-masking sleepbuds can absolutely assist with the whole “dogs rustling around the room” thing (which to be honest, is 99% what keeps me awake anyway). Which brings me to the topic of this post: the importance of sleep and rest. Not only has my sleep improved since I got my Bose noise-masking sleepbuds in the mail, but Blake has also benefited from these powerful little guys. We take turns using them (…I think I’ve got a good Christmas gift idea in mind…ha!) and lemme tell ya, these things are straight up LIFE CHANGING. Hello, third trimester! Me oh my things are different around here…ha! 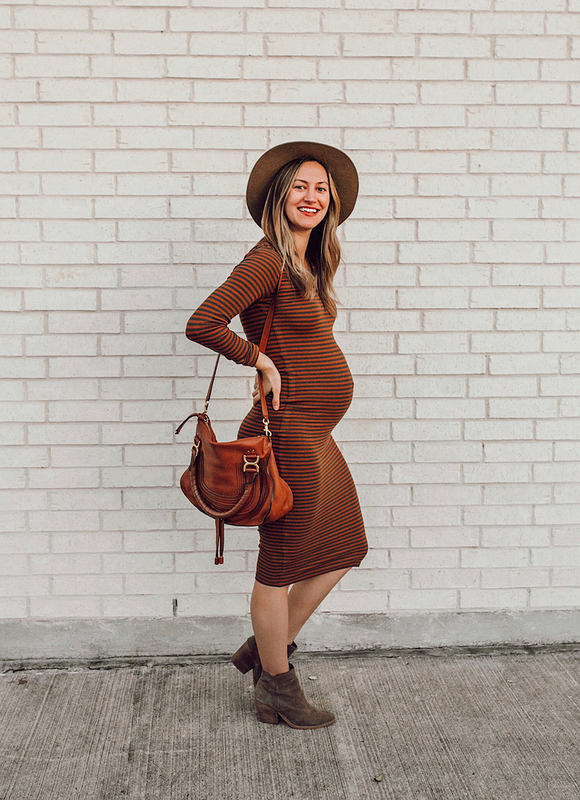 Not only has our little guy increased in size (my pregnancy app compared him to the size of an acorn squash this week), but my body has been hard at work and changing daily…not to mention, dressing a big ‘ol bump has been more fun than ever. 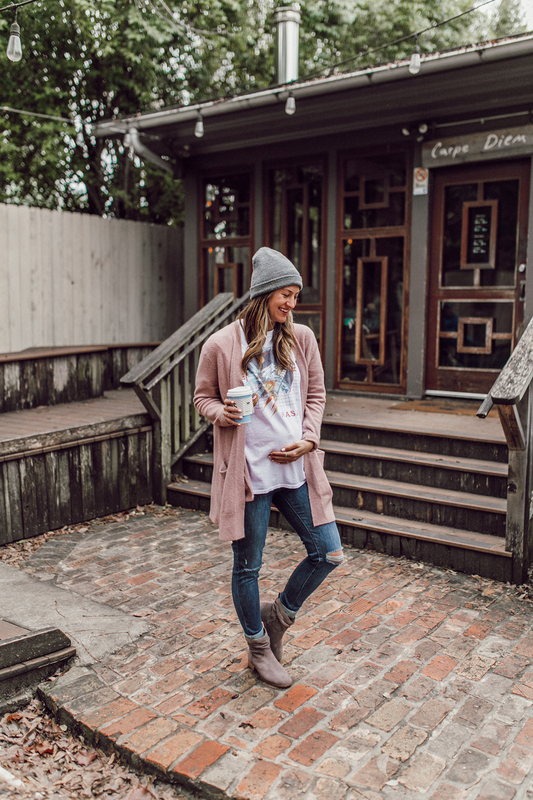 I used to be able to hide the bump (not intentionally, it just wasn’t quite as prominent in clothing) even just two weeks ago if I wore an oversize tee and leggings…but alas, those days are long gone and thus, I’m ready to display this belly proudly! 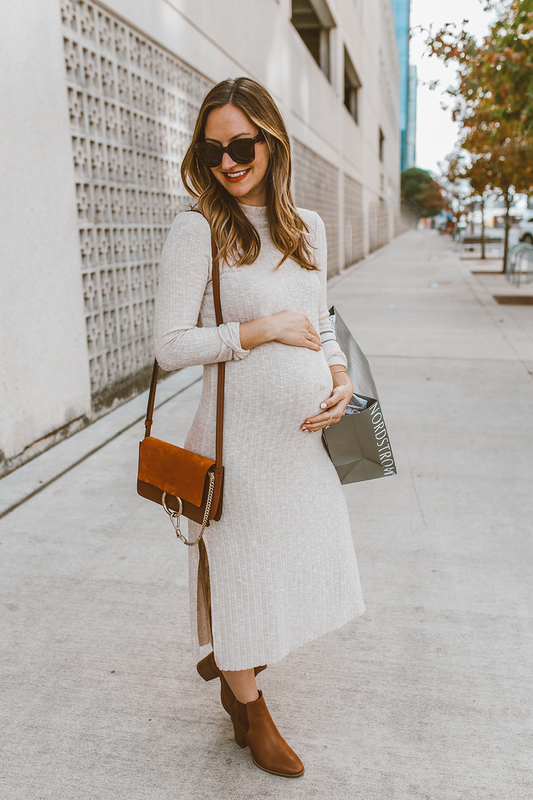 With the holidays and baby showers fast approaching (I wore this adorable striped dress to my first shower last weekend!) 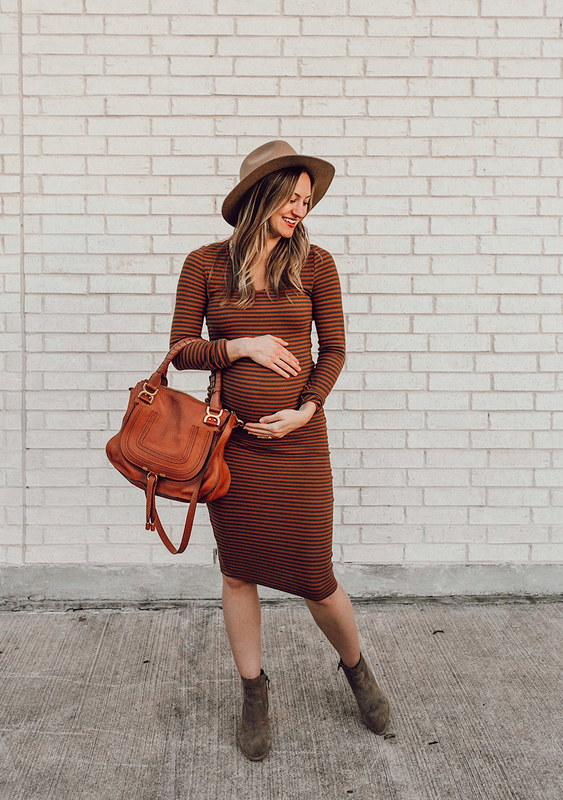 and anything occasion where you’ll want to look and feel pulled together, I’ve been looking to Motherhood Maternity for aaaall my pregnancy outfits! 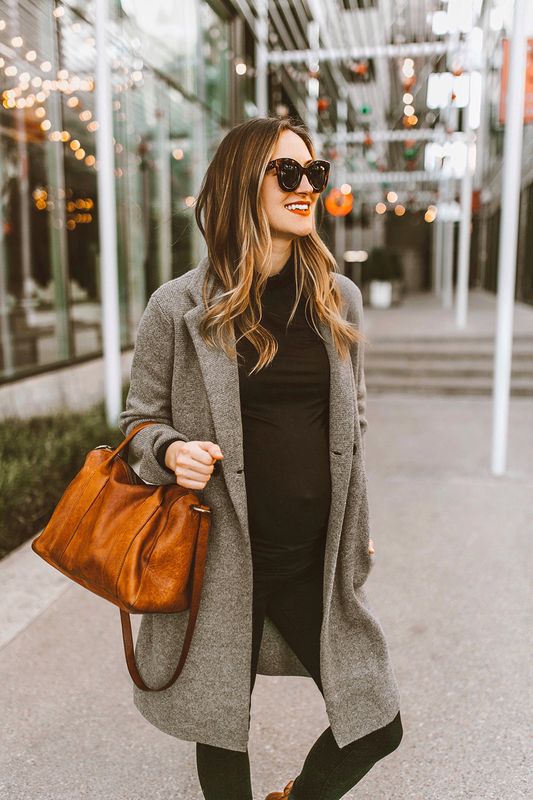 I have been shopping there since I found out I was pregnant, and it’s proven to be my “safe haven” for clothes that make me feel really beautiful, even on days when I don’t necessarily feel my best! **Fellow mama-to-bes! Motherhood is offering 40% off one full-priced item with code LIVVY40, time to get your holiday outfits ready!! (Valid through Dec. 10th, 2018). 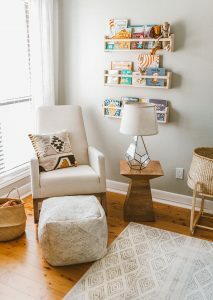 A big thank you to Motherhood Maternity for sponsoring this post! All opinions are my own.